I love strawberry season, it always reminds me of the first days of summer. My mom and I always loved picking berries when I was growing up, and she'd make the best shortcake! Last year, we found a great little farm to pick blueberries, but I totally forgot how much earlier crops are ready in the South. When I went to look for strawberry farms in June, they were all already closed for the season. This year, (thanks to Jacquelyn!!) 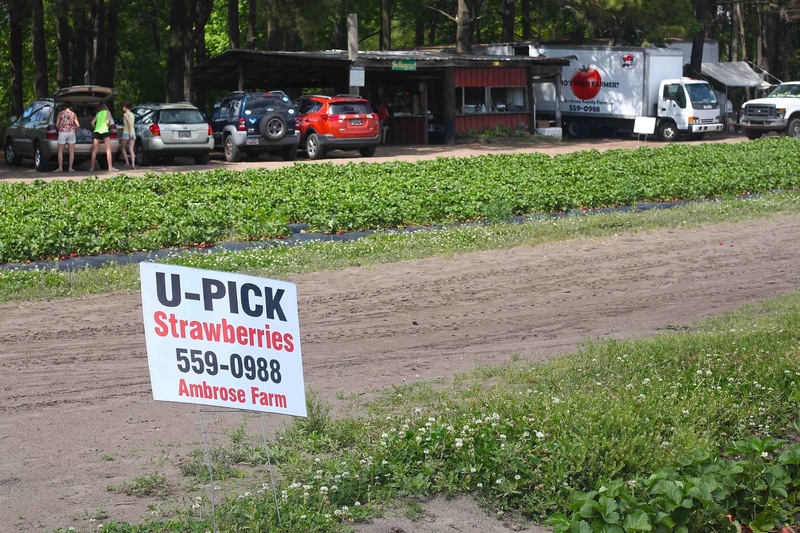 we found another fantastic farm, this one for strawberries, Wadmalaw Island. Mike, Erika, her son, and I went right at the peak of the season at the end of April and brought home 10 pounds of strawberries. Obviously we made shortcake every night, I added strawberries and pecans to my favorite salad, and every morning has started with a strawberry fruit smoothie. There are still strawberries left... a lot of them. Strawberry and lemon is one of my favorite flavor combinations (of yeah, I made strawberry lemonade, too! 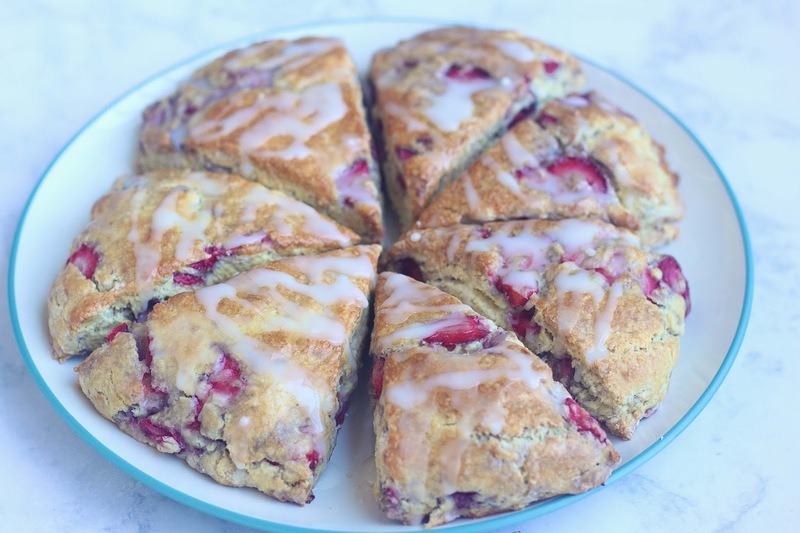 ), so these scones were also made with those delicious berries. They are so good! - Preheat oven to 400°. - In a large bowl, mix together flour, salt, baking powder, baking soda, sugar, and zest. - Work the small butter cubes into the dry mixture until it resembles coarse crumbs. - In a small bowl, whisk together the egg and milk, then add to flour and butter, mixing until just combined. 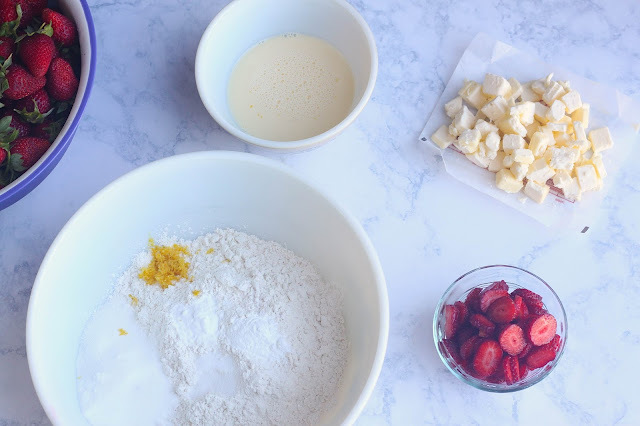 - Add slices strawberries to dough mixture and pour dough onto floured surface. 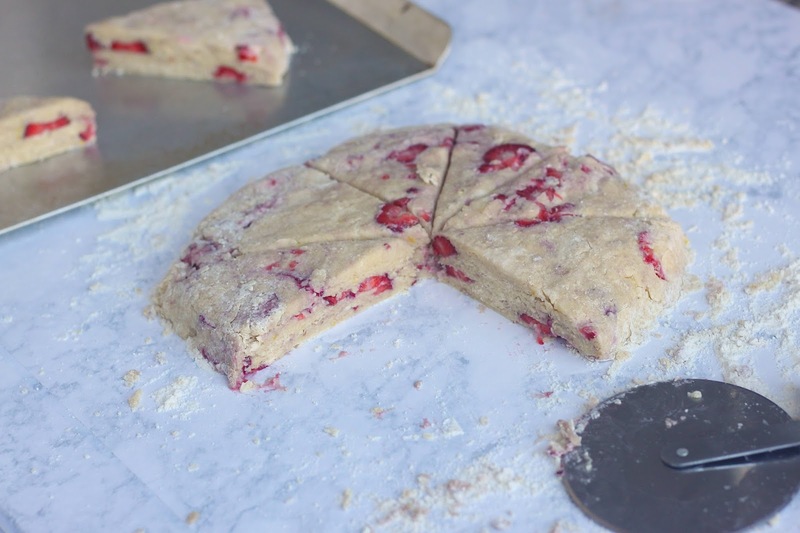 - Work dough into 8 inch circle, and using a pizza cutter, slice it into 8 equal pieces. - Separate scones and place them on a greased cookie sheet. 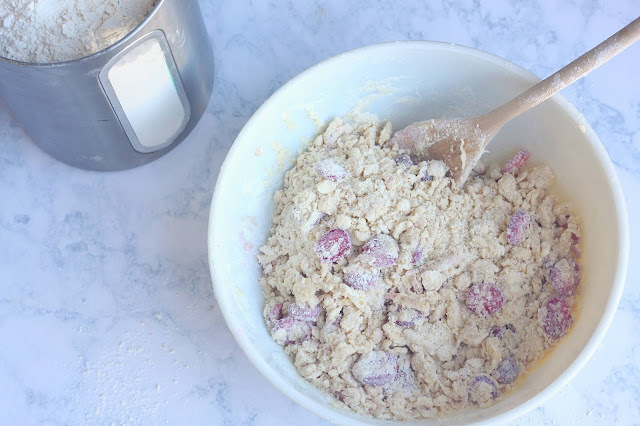 - Mix together the egg and milk for the wash and brush it over each scone. - Bake in the oven for 15-16 minutes. 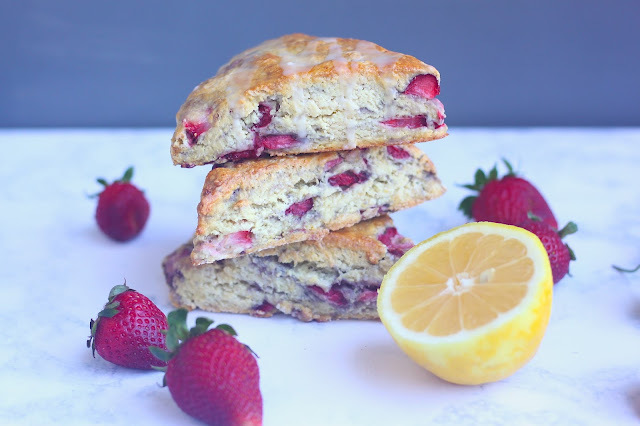 - While the scones are in the oven, combine the lemon juice and confectioners sugar for the glaze. Wait 15 minutes after scones are out of the oven to drizzle them with glaze. 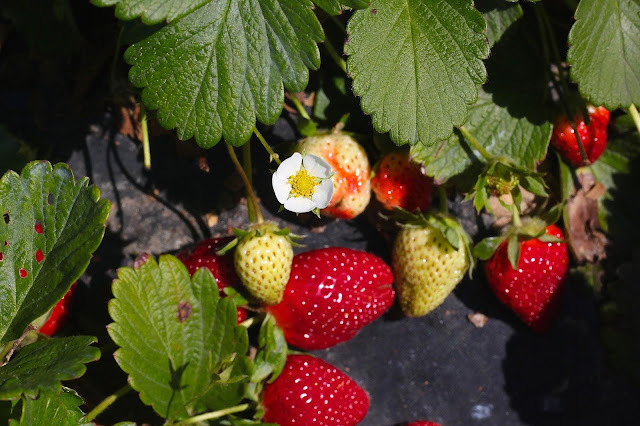 If you're looking for even more strawberry recipes, here are some of my past favorites: strawberry jam, strawberry mojitos, and chocolate-filled strawberries. I love picking strawberries! And those scones look super delicious!! 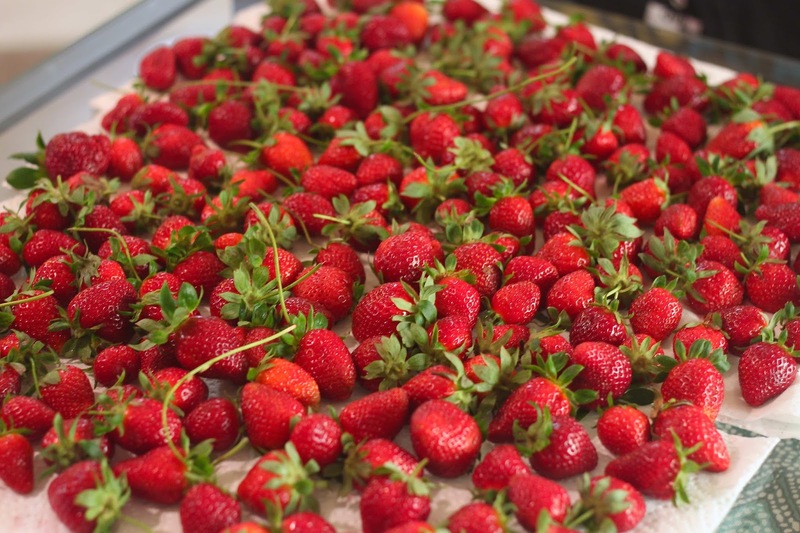 i love picking strawberries! even better when you can freeze a bunch for later. and those scones! yummy! We used to go strawberry picking as kids! You scones look fantastic! Thanks for the recipe. So many strawberries! You found some great ways to put them to good use though :) Enjoy them! I have always wanted to go to do this but its hard enough to tear Keith away from the cpu to go apple picking...but he does do that, only once a year though! I live close to an orchard & strawberry festivals are getting ready to kick in. Isn't it great there?! I need to go get more before the season is over.. last time we were nearing naptime and had to leave in a hurry ha. 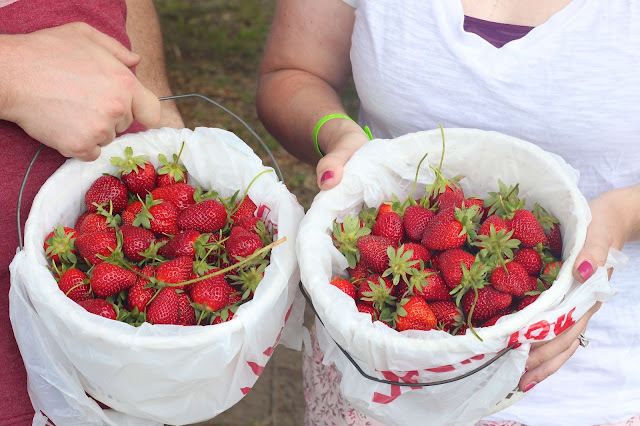 We went strawberry picking last year for the first time and it was the best! These scones look delicious! I love everything about this!! 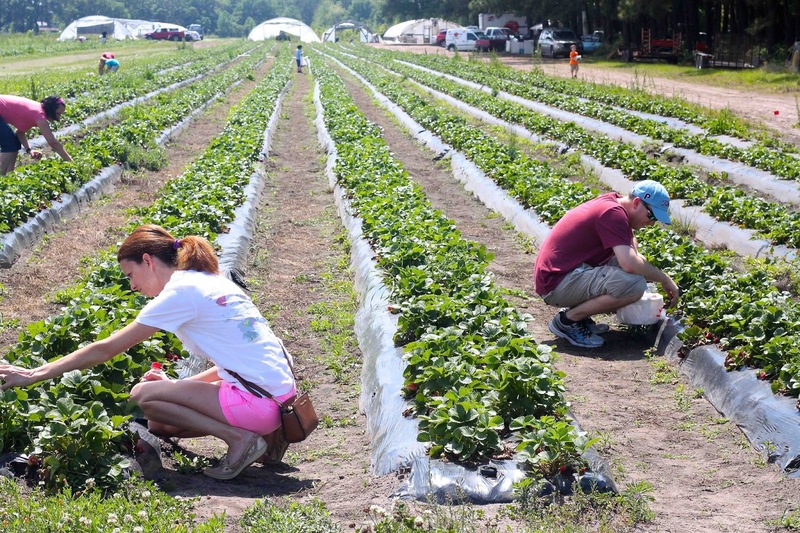 Strawberry picking looks so fun and those scones look super yummy! These sounds delicious!! I may have to make them for a quick breakfast for over the weekend. Strawberries are my very favorite fruit so I'm drooling over these photos...they look amazing! 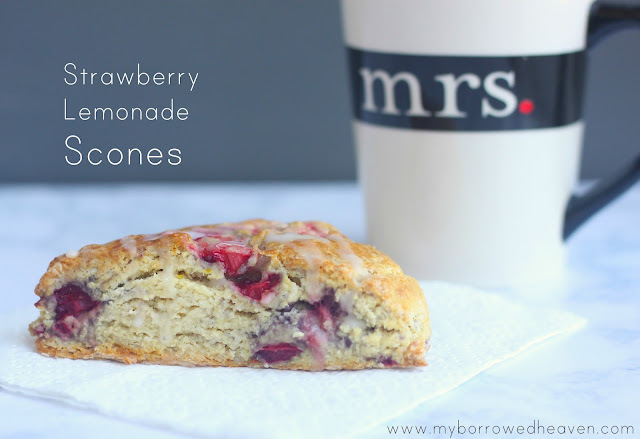 I was craving scones so hard the other day. These sound amazing! Those are probably the prettiest strawberries i've ever seen. I've never gone strawberry picking but there is a farm about an hour away that I've been meaning to check out. Oh how I love strawberries, they are my favorite! 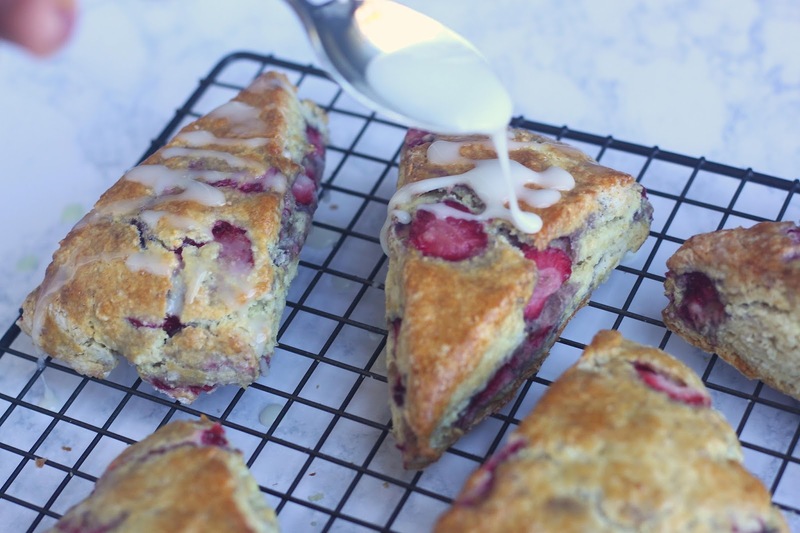 These scones look so good! 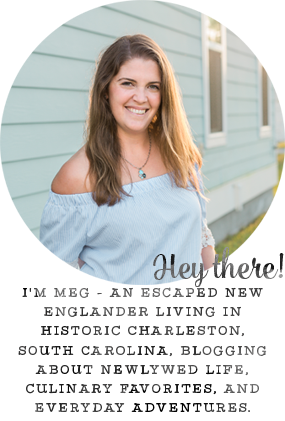 I loved picking strawberries in Charleston! Last year I made strawberry shortcake with my pickings - loved it! 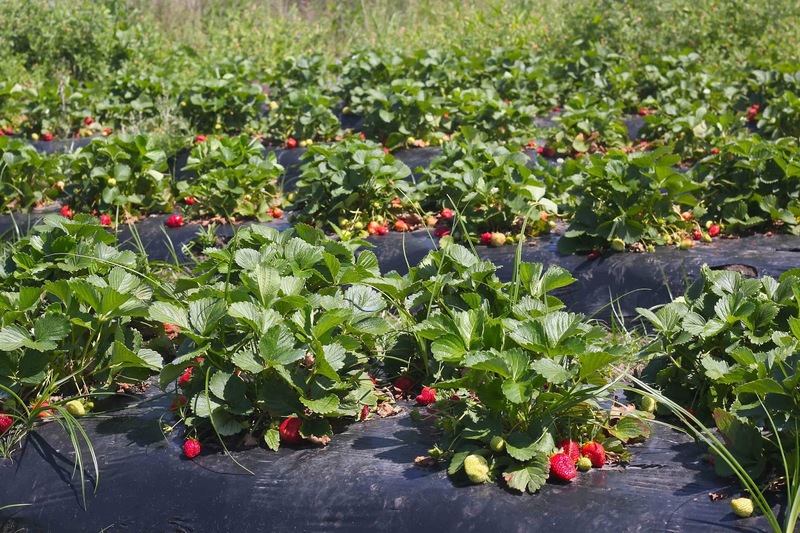 I've never been strawberry picking before, but think it would be so fun! Those scones are beautiful!